From the UK: If you’re in the UK, you’re as little as 90 minutes away from our courses here in Bordeaux. There are regular Easyjet flights to Bordeaux’s Merignac Airport from London Luton and Gatwick, while British Airways also operates a popular flight from Gatwick. Ryanair has a service from London Stansted to Bordeaux. There is also good access from the rest of the UK. Flybe has services from Birmingham and Southampton, while Easyjet flies from Liverpool and Bristol. If you live in Scotland, Easyjet has flights from Glasgow, while Ryanair comes from Edinburgh. There is also an Easyjet service from Belfast. 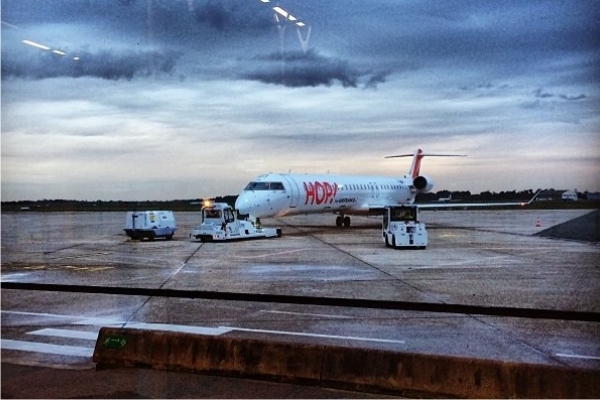 From elsewhere in Europe: For golfers from Europe or around the world, there is a range of airline connections to Bordeaux’s Merignac Airport. For example, from the Republic of Ireland, there are flights from Dublin (Aer Lingus) and Cork (Ryanair). There are also direct flights to Bordeaux from any number of European cities, including Stockholm, Oslo, Amsterdam, Frankfurt, Munich, Hamburg and Berlin. A map of all the airports serviced from Bordeaux. Long-haul: Air France’s budget airline HOP! and Easyjet both run services to cities other airports in France, including Paris Charles de Gaulle airport. This makes long-haul international connections from Asia and the United States easier via a range of airports, including in London, Paris, Toulouse, Amsterdam and Frankfurt – among others. High-speed train services also link Bordeaux to Paris Charles de Gaulle and other major hubs (see below). If you need advice on how best to get to us, please let us know. The airport at Bergerac, 1 hour east of Bordeaux and on the fringes of the famous Dordogne region, lands you in the heart of golf and wine country. It offers excellent access to our courses at St-Emilion and Château des Vigiers. We can also arrange transfers for you into Bordeaux. Ryanair flies to Bergerac from London Stansted, Liverpool, the East Midlands, Bristol and Brussels. There is also a British Airways flight from London City Airport, making Bergerac a convenient airport for corporate packages and tem-building getaways to France. In addition, Jet2 uses Bergerac for its Leeds Bradford route, while Flybe flies to Bergerac from Edinburgh, Birmingham, Manchester, Exeter and Southampton. Transavia flies to Amsterdam. You can fly direct to Biarritz from London Gatwick and London Luton (Easyjet), and from London Heathrow with British Airways. Ryanair has flights from London Stansted and Dublin. Flybe uses Biarritz for Birmingham and Southampton flights. From elsewhere in Europe, there are flights from Stockholm, Copenhagen, Geneva, Helsinki, Brussels, Paris and others. Cities with flights to Biarritz. 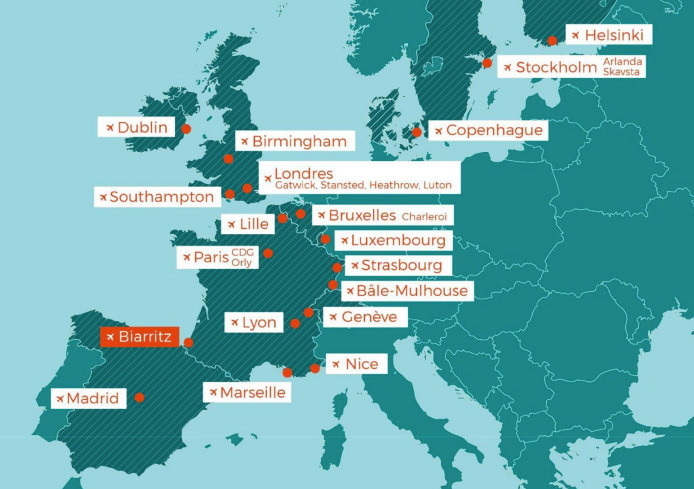 Easyjet flies to Bilbao from a number of UK airport, including Bristol and London Stansted. British Airways flies from Heathrow, while Vueling flies from Gatwick. Aer Lingus flies from Dublin for our Irish guests. 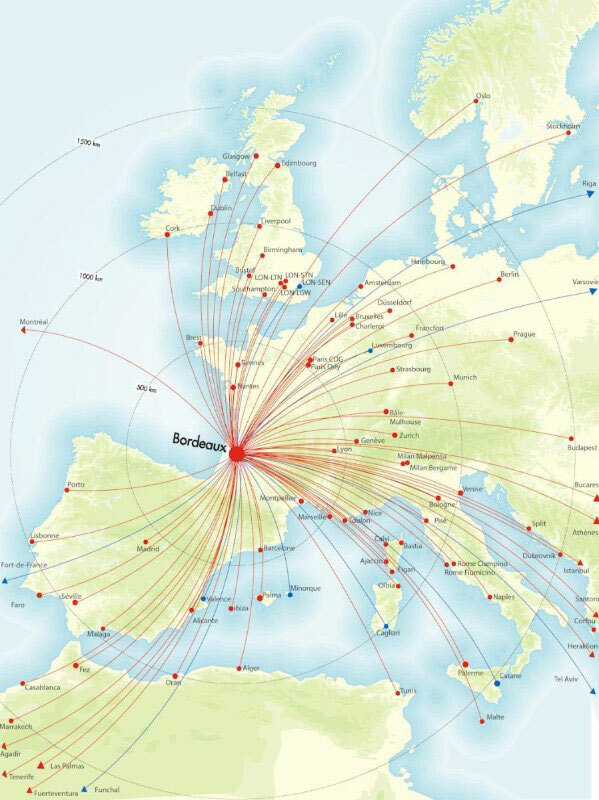 Various other airlines also fly from Barcelona, Amsterdam, Berlin, Stuttgart and other airports in northern Europe. There are also Iberia and Air Europa connections from Madrid for people flying in from the Spanish capital. San Sebastian’s airport is smaller than Bilbao’s and has connections from Madrid and Barcelona. Routes are correct at the time of writing, but they are subject to change. Also, not all routes are serviced year-round. Please let us know if you need local advice and support. We can arrange airport transfers for you as part of our concierge service. If you’d prefer to have your own car hire, we can connect you with our recommended partners. Bringing your own golf clubs? Don’t forget to check your airline’s baggage and sporting equipment policy if you plan on bringing your own golf clubs. We can, however, arrange top-quality hire for you if you choose to leave them at home. From Bordeaux it’s possible to get a train to almost anywhere in Europe, including to London via the Eurostar link in Paris. 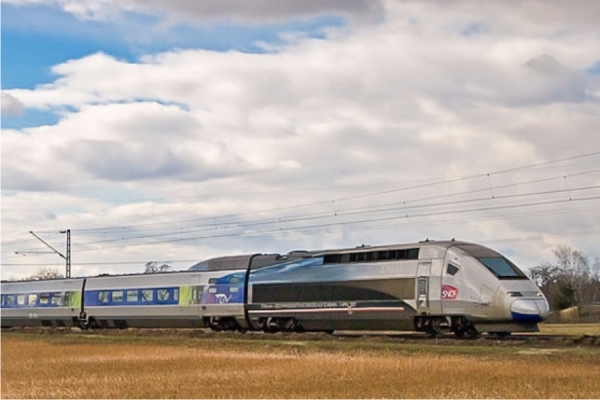 There are almost 40 trains a day linking Bordeaux and Paris, and the opening of the new high-speed LGV line from Bordeaux to Paris in July 2017 means it will take just 2 hours to get from one city to the other (perfect for a Ryder Cup Venue break!). There are also direct train links between Bordeaux and international airports, including Paris Charles de Gaulle with the LGV in 3 hours and Toulouse in 2 hours. We can help you book train tickets as part of our concierge service, or see the voyages-sncf.com website. There is a range of ferry options in northern France if you are driving down to Bordeaux. Ports in Calais, Cherbourg, Le Havre, St-Malo, Roscoff, Caen and Dieppe all have regular services to the UK and Ireland. Santander or Bilbao both have ferry services to the UK and Ireland. Booking search engines like Aferry and Ferry Savers can help you find the right crossing to suit your preferred dates, or ask us to book your tickets for you as part of a bespoke package. Let us help you take the stress and worry out of your French golf holiday – and leave you more time and energy to concentrate on your perfecting your swing.